We produce a number of different salamander grills across two different ranges in electric, natural and propane gas powered variants. Perfect for grilling a wide variety of foods, including steaks, burgers, chops, cutlets, as well as toasted sandwiches and pizzas. 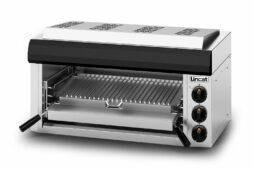 All of the grills from the Phoenix and Opus series of products each feature fast heating capability, heating up from cold in just 8 seconds! 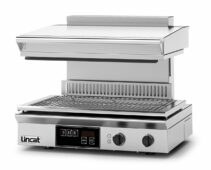 Additionally, each unit has also been chrome plated to help with reduced energy costs and a more comfortable working environment overall! There are also a number of 1/1GN compatible models available should you require the additional convenience afforded by these products. Whatever your particular use case may be, we've got a Salamander grill that'll be perfectly suited to your business needs.